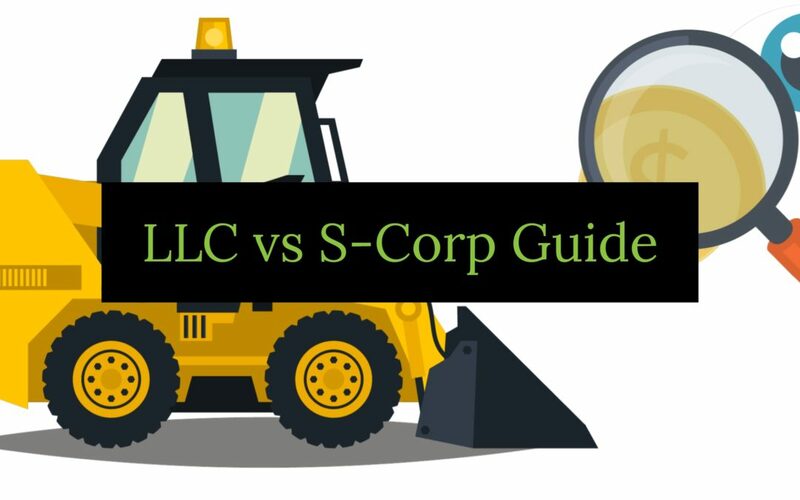 LLC vs S-Corp – What’s the difference between an LLC and an S-Corp? It can be really confusing trying to figure out the tax difference between an LLC and an S-corp, and then figuring out how to convert to an S-Corp in Minnesota or any other state. We are Nuance Financial Tax and Accounting – we provide a turn-key solution for small businesses called our “outsourced accounting,” where we handle everything a small business needs to utilize an S-Corp. We’re a complete solution that will handle your payroll, accounting, bookkeeping, and tax preparation, all while providing hands-on tax planning so that you can do everything possible to reduce your taxes, avoid taxes, and pay only your fair share. WHY THIS MATTERS: ONE OF THE BIGGEST TAX MITIGATION TECHNIQUES FOR SMALL BUSINESS IT TO UTILIZE AN S-CORP STRATEGY. An S-Corp can Save you Tens of Thousands in Self-Employment Taxes. What’s the difference between an LLC and an S Corporation? An S Corporation and LLC are both “LLC’s” or “limited liability companies.” The difference between the LLC and S-Corp is in how it’s taxed. The S-Corp has additional requirements because it’s a corporation. You can be an LLC taxed as either a Sole Proprietor, or an LLC taxed as an S-Corp. Besides how it’s taxed, an S-Corporation is a corporation, which means there are additional requirements to maintain the corporation. For the sake of our discussions here, we will refer to LLCs taxed as a Sole Proprietor as “LLC’s” and then LLCs taxed as S-Corps simply as S-Corps. The difference between an LLC and an S-Corp is essentially how they are taxed, and some legal requirements to upkeep the corporation. Both LLC’s and S-Corps provide limited liability, and the pass through taxation, which is different from how a C-Corp is taxed. To find out more about what it means to have “limited liability” you can take a look here. LLCs are taxed as sole proprietors, paying self employment taxes on their net profits. They then pay state and federal income taxes after that. When a company has elected to stay taxed as a sole proprietor, or for our purposes, an “LLC,” then their tax return is much simpler and will just be a “Schedule C.” To find out how an LLC is taxed (not an S-Corp), you will take your gross revenue, subtract all your expenses, and then the net profit is what you’ll be paying tax on. There is a 50% deduction on the social security taxes you’ll pay, but for the most part, you can use your “net profit” as your taxable income for your LLC. LLC Taxation: The Net Profit of an LLC (Not an S-Corp) is Subject to Self Employment Taxes, and THEN Federal and State Income Tax. In an LLC taxed as a Sole Proprietor, the net profit is first subject to self employment taxes, which is that dreaded FICA (Social Security) and Medicare. Self Employment Taxes are a total of 15.3% taxes that you’ll pay on the net profits, up to the social security limit. Self employment taxes are a combination of medicare taxes and social security. So the first taxes you’ll owe in an LLC are your “Self Employment Taxes,” which is a combination of your social security and medicare taxes. 15.3% Self Employment Taxes = 12.4% Social Security Taxes + 2.9% Medicare Taxes. Once you reach the social security limit, your wages are no longer subject to the 12.4% Social Security Taxation. Remember that social security and medicare taxes seem higher for self-employed because you will be paying both the employer and employee portion of the OASDI medicare and social security taxes. When you are a business owner or a self-employed person, or earning 1099 income, you will have to pay both halves of the payroll taxes. Social Security Taxes make up 12.4% of the 15.3% Self Employment Taxes, and they are subject to all earned income up to the social security limit. What is the social security limit? The social security limit is a ceiling on the amount of income which will be subject to the 12.4% Social Security Tax. In other words, an earner will pay the social security tax on all their wages (and business income in the case of an LLC taxed as a Sole Prop), up to that social security limit. If you had business income of $180,000, only the first $128,400 (in 2018) would be subject to the 12.4% social security tax, then you’d owe 2.9% medicare taxes on the remainder. All income above the social security limit will no longer be subject to the social security tax, but will still be subject to medicare tax which is 2.9%. For Americans making higher wages, there is an additional medicare taxation that was put in place by the Obama Administration. Besides our progressive income tax environment, there is an additional progressive tax on higher income earners in the form of the increased medicare taxes. While the 2.9% medicare tax is the only payroll tax that applies to wages above the social security limit, there is an additional set of medicare taxes that will be owed when you hit certain income thresholds. Fidelity has a nice write up concerning that. From 2008 to 2018, there was a 20.22% Increase in the Social security wage limits. LLCs and S-Corps are Taxed Differently. Simply put, LLCs (taxed as a sole prop) will pay a 15.3% Self Employment Tax on their net profits, and then will pay state and federal income taxes. If you do not setup an LLC, you will be taxed as a Sole Proprietor. If you become an LLC, you will have to elect to become taxed as an S-Corp.
LLC Taxed as a Sole Prop: Gross Revenues – Expenses = Net Profits. Net Profit x 15.3% = Self Employment Taxes. Do Self Employment Taxes Change? The self employment tax rate for 2018 is the same as it has been before. The self employment tax rates in 2018, and for every year, is 15.3%, which is the 2.9% medicare tax and the 12.4% social security tax. The tax rate of social security has not changed, but the social security limits change almost every year, as does the social security retirement benefits cost of living increases. The SSA controls costs and tries to play catch-up by raising the full retirement age, increasing the social security limits, and limiting the COLA or “cost of living” increases to all Social Security beneficiaries. You must remember in all this that self employment taxes are meant to fund the universe’s largest social programs ever constructed, and that the amount of income subject to the social security limit is tied almost directly to a person’s socials security benefit in the future. That’s a whole other article. The Tie Between Social Security Taxation & Social Security Retirement Benefits. The Amount of Earned Income Subject to Social Security will dictate your Social Security Benefit. It’s incredibly important that the amount of earned income subject to the social security taxes is what will dictate your social security retirement and other benefits should you need them. When you have more earned income, you will pay higher social security taxes. When you pay higher social security taxes, you’ll also be increasing your social security benefit… Sounds great, huh? Think again. The return on your social security taxes is measly. Sure, you’re going to get a retirement benefit that will continue till you die, and it will include a cost of living increase whenever congress approves it, but the overall rate of return on the investment is much lower than what we’ve experienced in the stock market. Why not pay higher self employment taxes to have a higher social security retirement benefit in the future? Because you’ll get a much better return either in your business or in the stock market. We won’t dive into the specifics, but you should read a little bit about how bad of an investment social security is. Sole Props & LLCs Taxed as Sole Props (Schedule C Income) is subject to a 15.3% self employment tax which is 2.9% medicare tax and 12.4% social security tax. Social Security is only due on income up to the social security limits. The social security limit has risen each year, and in 2018 will be raised again, to $128,400 in 2018. So What is the Maximium Social Security Tax for Small Business? Since a sole proprietor or small business owner can owe the 12.4% on their income up to the social security limit of $128,400, that means the most that a sole proprietor, or an LLC taxed as a Sole Proprietor, could owe would be $15,921 in 2018. What’s the most a small business owner, taxed as a sole proprietor, can pay in social security taxes in 2018? The answer is $15,921. So in the LLC, all the business income, or the schedule C income, will be subject to both the social security and medicare taxes – which can total a whopping $19,645 on just the wages up to the social security limits. This means that an LLC is subject to a great deal of self employment taxes. So how much tax will you owe as a 1099? As an LLC? Is there a difference between being a sole prop, LLC and a 1099? Many people get these terms messed up. 1099 just means you earned revenue that WASN’T a W-2 wage. This will be part of your gross revenue, and you’ll then subtract all qualifying business deductions against it in order to find out your net profit. You’re going to owe 15.3% in self employment taxes on your 1099 income, up to the social security limit, and then you’ll owe the medicare taxes above and beyond that. Remember, the 1099 net income is what will be subject, you do not pay taxes on your business expenses and write offs. 1099 taxes can be tricky for people that are used to being a W-2 worker, which is why a 1099 income earner may want to consider becoming an S-Corp if they will sustain their 1099 income, they aren’t already earning W-2 wages above the social security limits, and they will have net profits high enough that the tax savings would also negate any additional costs required for the 1120s tax return, bookkeeping, payroll, and legal fees for S-Corp documentation. If you’re a freelancer or 1099 income earner, and you’re wondering how much taxes I owe on a 1099, then you’ll want to remember that you’ll be paying self employment tax and THEN income tax. 1099 income and other forms of non W-2 income are all going to count towards this taxation. Remember, we’re talking about how an LLC, taxed as a sole proprietor, is going to get taxed. A sole proprietor, and an LLC taxed as a sole proprietor, are going to owe self employment taxes on their net income, up to the social security limit. Then they will owe additional medicare tax on income above the social security limit, and then they will pay regular state and federal income tax. Another set of terms that people get messed up is the difference between income tax and payroll taxes. Payroll taxes, self employment taxes, etc. are all referring to the medicare and social security taxes that we discussed before. So what’s the difference between self employment tax and income tax? Self employment tax is just another name for the combined social security and medicare taxes that LLC’s, Sole Proprietors, and S-Corps will owe. Income tax is different, and is NOT social security and medicare taxes. Remember, one of the major differences between self employment taxes and income taxes is that the self employment taxes (social security and Medicare) is paid FIRST on all wages subject to OASDI. Then you’ll pay income tax. If you live in a state with income taxes, you’ll owe those taxes. Remember that our tax system is a progressive tax system, so that the more money you make, the rate of the top dollars you earn will be taxed at ever-increasing rates. So in an LLC, all the net profits are subject to the self employment taxes (up to the social security limits) and then you would pay state and federal income tax on it. In an S-Corp, the corporation will be paying you a salary, and you’ll also be paid as the owner of the corporation. Simply put, you till take the net profits, and then split it into two types of income to the owner. You will take a salary or a payroll as an employee, then you will also receive a dividend or distribution. In an S-Corp, the Net Profits are split into two parts: Salary & Distribution. The Salary will be subject to self employment taxes (up to the social security limits), while the distribution or dividend will not be subject to the 15.3% self employment taxes. That’s right, you’ll have a portion of your income that will not be subject to social security or the medicare taxes… That’s just a little bit of a big deal. So if the payroll or salary portion of the owners income is NOT subject to self employment taxes, how much salary do you have to take in an S-Corp? Most people are wondering how low of a salary can be taken in an S-Corp, because they see that it will drastically lower their taxes. The government dictates that business owners must take a “reasonable” salary out of their S-Corporations. This can be difficult, but the bottom line is that the IRS, and the case law, show that deciding the S-Corp salary to distribution ratio, and discovering the reasonable salary meaning, isn’t exactly a science. There are many that talk about a 60/40 rule, or even a 50% rule. What we’ve found is that the key is to have accurate bookkeeping, and then work with a professional to determine just how aggressive you dare be when it comes to the S-Corp tax planning. You want to pay your fair share and not a penny more, right? That means that we believe people should be honest, but also work hard to mitigate and reduce their small business taxes – specifically the social security and medicare taxes. The S-Corp is going to provide you a tool to reduce your self employment taxes – but you’ll have to balance risks and rewards (duh). What Determines a Reasonable Salary? Previous salaries, industry norms, overall profitability, and your participation in the business should all help form the system you’ll use to determine the reasonable salary. We’re careful here, because we think that in order to determine a salary decision, you’ll need to synthesize much more than just your tax return at the end of the year – you need a methodology that makes sense. Many LLCs that are considering converting to an S Corp start looking for an S-Corp salary calculator in order to show the s corp reasonable salary percentage. There is a website here that has a calculator – but it’s not really going to show you exactly how much you’ll save in taxes when you convert to an S-Corp. The S-Corp salary calculator is also not going to help you make the decision about what s corp salary distribution ratio should be made – you’ll have to figure that out with professionals (like us). When is an S-Corp a Bad Idea? There are two major instances when an S-Corp is a REALLY bad idea. The first instance that makes an S-Corp a horrible option is when you’ll be participating in passive income activities – specifically rental real estate. When your business activity creates passive income, that income is NOT Subject to self employment taxes. This is why you should NEVER own rental property or buy and hold real estate in an S-Corp. When you put those assets into an S-Corp, you take income that was not subject to social security and medicare taxes, and you force it to be subject. Never use an S-Corp for passive income activities – which USUALLY equates to rental real estate. Should you own rental real estate in an LLC then? Yes, you should own your property in an LLC, but make sure it’s not taxed as an S-Corp. You need to own it in a regular LLC. So – the first instance when you should not use an S-Corp is when you’re going to be making passive income. The second instance is when the tax savings will not offset the cost of compliance. That’s one of our biggest pieces of advice – until your business is actually making money, don’t screw around with this stuff. The IRS is scary, so startup owners are often trying to do their homework and find out about this S-Corp strategy, and they file all their paperwork preemptively. Don’t become an S-Corp until you have consistent profits that are higher than about $30k. If you’re just starting out – there’s no reason to be all hot and bothered about taxes, until you actually have taxes due because you started to make money. Just focus on getting your business up and running.